The Prior Lake Mudcats in losers bracket action of Region 3C were victorious in a 2-1 game over the Randolph Railcats of the Classic Cannon Valley League. The Railcats were derailed by Montgomery 2-1 in 14 innings while the Mudcats were clipped by Hampton 7-2 to square in the losers bracket of the Region 3C double elimination Tournament. Randolph pitcher Cory Lorenzen went the distance and held the fish to 4 hits (Ben Schmidt, Greg Faue, Dusty Olynyk(2)) while striking out 2 and allowing no walks. Olynyk also tallied a triple in one of his 2 hits but was stranded at 3B. &apos;Cat RBIs were tallied by Faue and Andy Koehler. The Randolph pitching effort was matched by Mudcat Andy Hanson who faced 31 batters in 8 innings work walking 2 and allowing 7 Randolph hits. PL Draftee Luke Giesen of the Veseli Warriors pitched the 9th inning facing 3 batters and yielding 1 hit just beyond the reach of 2B Koehler and 1 walk (who was thrown out by Faue trying to steal 2B) . The Mudcats will host the &apos;05 DRS Champion Elko Express in an elimination game for the loser at the Vet in Prior Lake on Wednesday 8/10 with and 8:00PM start. Elko eliminated Montgomery on 8/7 after dropping a 2-0 decision to Hampton in their 1st game of Region 3C. The Express had a bye in game 1 of the 6 team double elimation Tournament. The winner or Elko/PL will face Union Hill with the winner of the Friday 8/12 game joining the Hampton Cardinals (advanced with 5-4 win at Union Hill) in advancing to the State Tournament in Dassel Cokato & Hutchinson with 3C in action Thursday 8/18 at either 5:00 or 7:30 vs. Region 9C reps. Seeding game(s) Saturday 8/13 will dictate gametime. 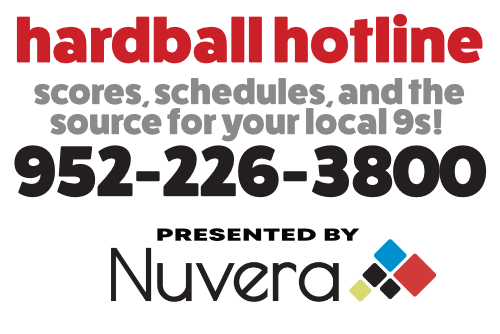 The Integra PL Hardball Hotline 952-226-3800 will have the latest info as area teams advance to the MBA Championship on Labor Day.